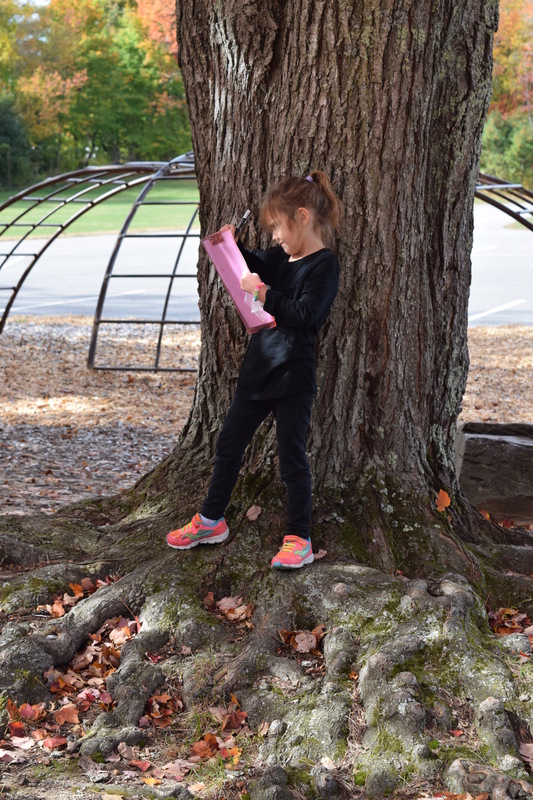 Last week, we took advantage of the great fall weather and made an effort to get outside every day. 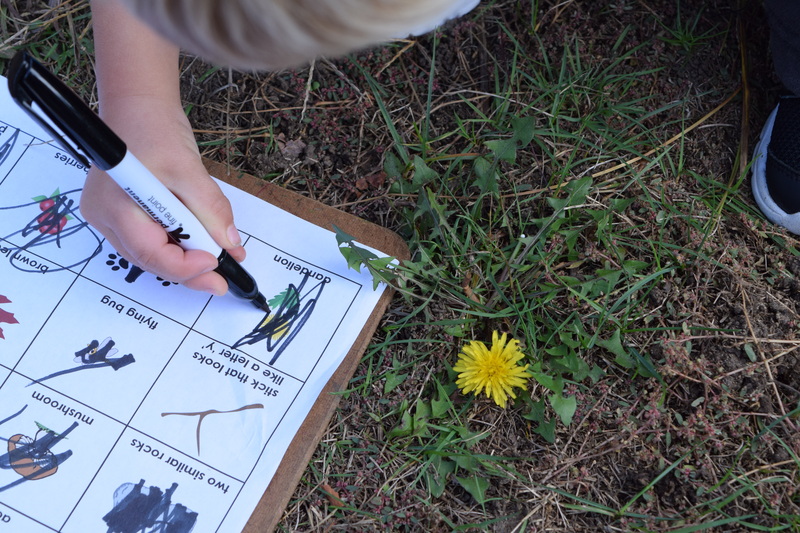 One day, we went on a nature walk and brought a scavenger hunt along with us. 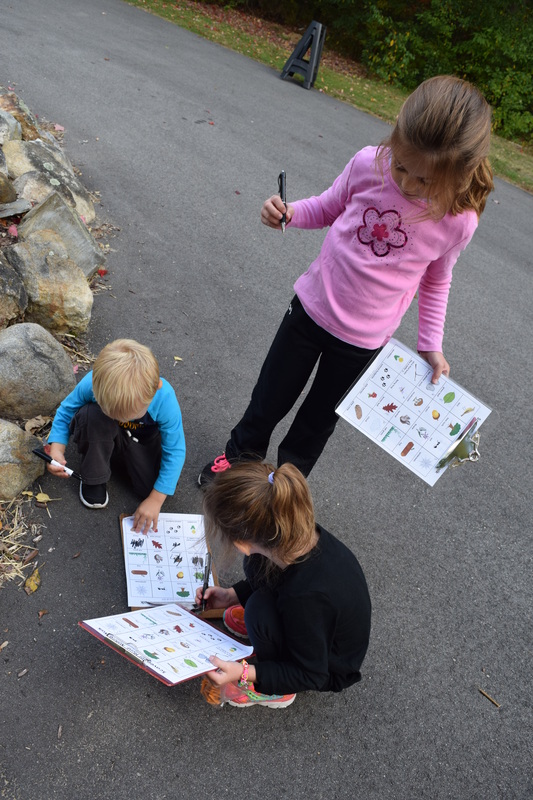 Scavenger hunts are fun, inexpensive, and easily modified for all ages. 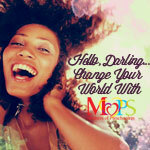 They are an excellent activity in the practice of observing and the skill of noticing goodness. 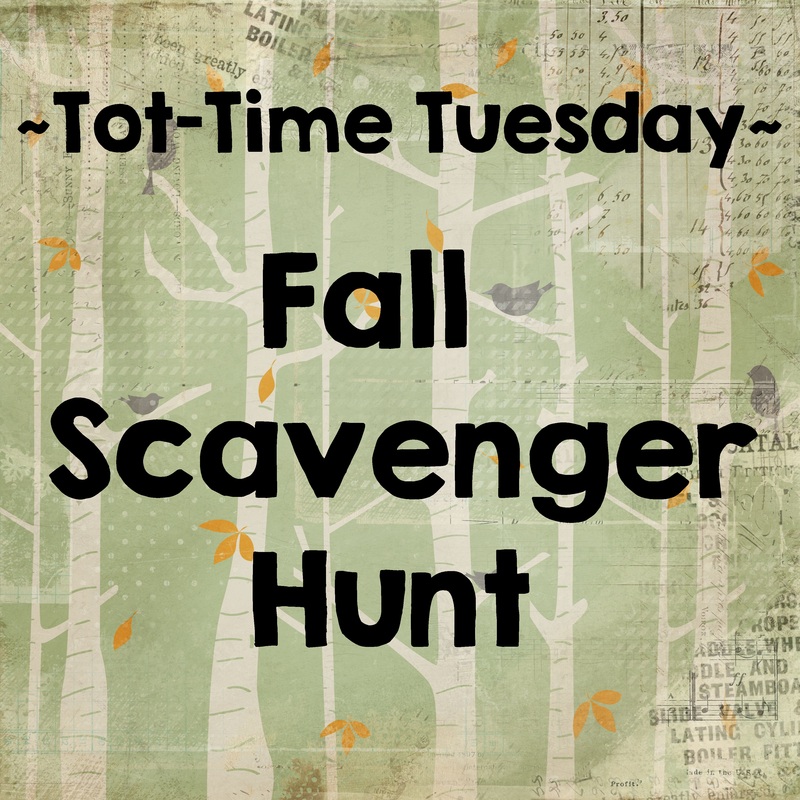 There are many great scavenger hunts already created and easy to find online. I printed this one from “The Bird Feed NYC” and placed it on clipboards- one for each child. 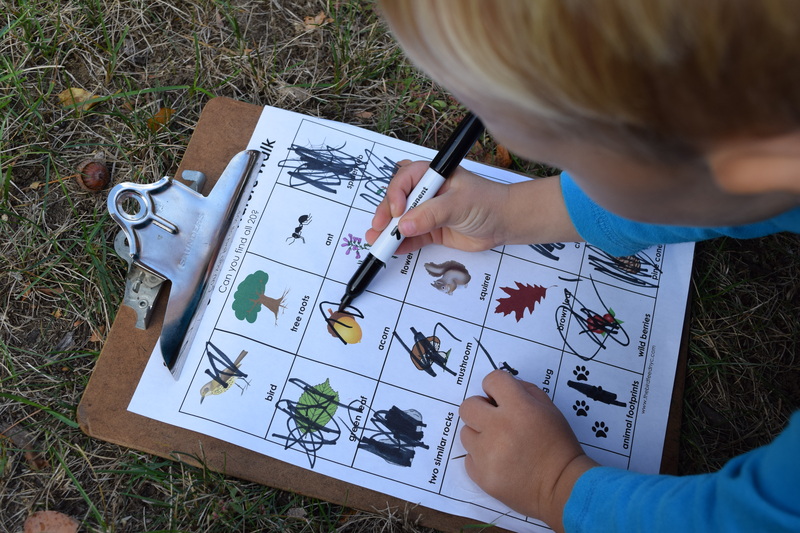 I liked that this hunt uses both words and pictures of items that are easily found in our backyard. As soon as we were out the door, my girls excitedly began to find and check items off their chart. My son bounced along, happy to be outside. 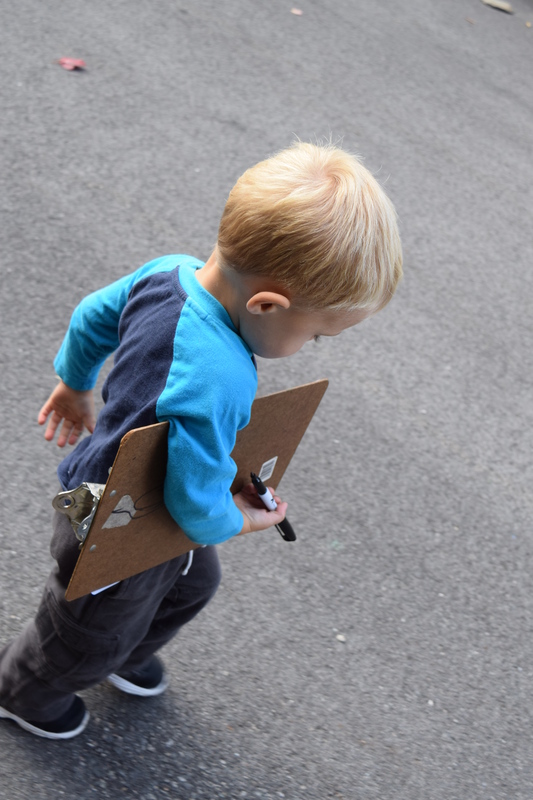 He was glad to have his own clipboard and his own marker. Never underestimate your youngest children and include them in as many activities as possible. With a little assistance and some modeling, my son quickly got the idea of looking for an item and crossing it off the chart. Using the marker was a big incentive too. Due to some past unfortunate incidents, say a mural on a white window sill, we have kept the markers out of his reach and out of his artistic fingers. He was thrilled to have it back in his hand. We searched and explored for about 20 minutes. It was just enough time to keep everyone’s attention and interest. We ended up finding 19 out of the 20 items. No matter where we looked, we could not find any animal tracks. 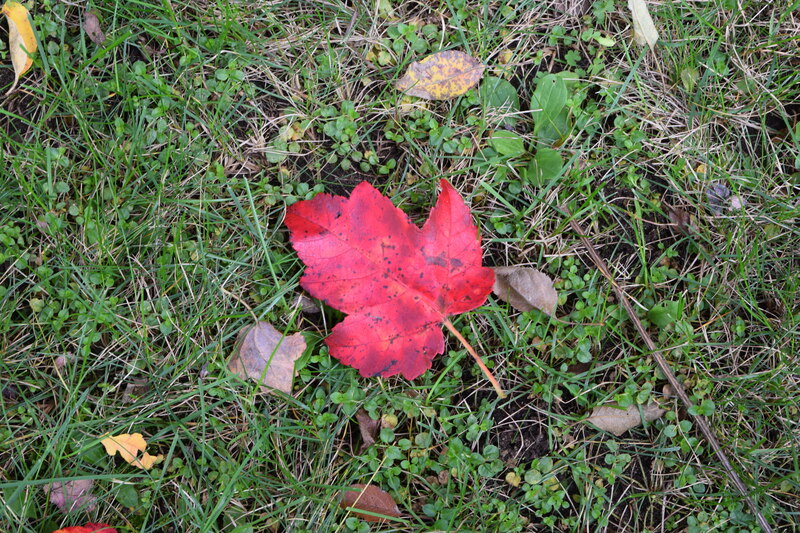 It really did not matter if we found one or all the items, it was so nice being outside with the kids and spending time together. Check out The Bird Feed NYC’s website and other scavenger hunts here. 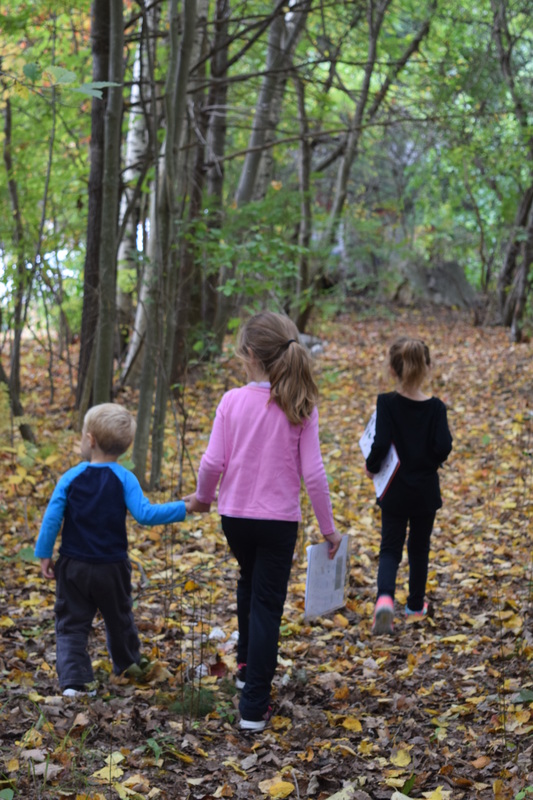 This entry was posted in EMBRACE Preschoolers and tagged corn, fall, fall hunt, fall toddler activity, homeschool, homeschooling a toddler, nature walk, quiet time, scavenger hunt, sensory boxes, tot-time. Bookmark the permalink. My two are 7 & 8 but I can’t wait to share the nature one! Thank you!